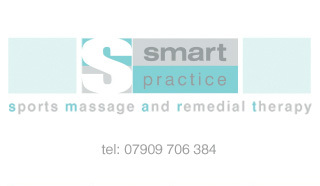 Smart Practice was formed to provide professional Sports Massage and Remedial Therapy to everyone. It brings to you extensive knowledge in anatomy and physiology combined with formal training in massage and years of clinical experience. our Sports & Remedial Massage Therapist. Sarah is a qualified medical doctor who has practised for several years as a hospital clinician and university lecturer. She has developed a deep interest in musculoskeletal conditions and sports medicine. Sarah has always been involved in competitive sport including triathlon and long distance running. She experienced the benefits of Sposts Massage and Remedial Therapy first hand and so decided to complete studies in the subject. Sarah holds a Level 4 Diploma in Sport & Remedial Massage with Pulse Training Solutions (PTS). Sports Massage and Remedial Therapy Practitioners who have achieved the level 4 (NVQ equivalent) qualification have undergone the highest level of training then attainable. 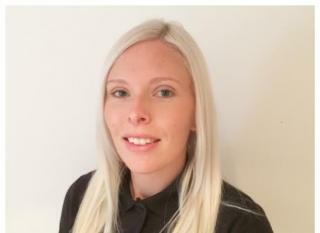 Lauren is a qualified clinical Sports and Remedial Massage therapist who has achieved, with the ISRM (Institute of Sports & Remedial Massage), a BTEC Level 5 diploma, currently the highest attainable qualification within the UK. She treats a variety of clients from all walks of life as well as working quite closely with a small local team of competing, professional athletes. She herself has a varied interest in sport from running to cross-fit to boxing. Lauren has a great interest in musculoskeletal conditions and continues to develop this through CPD (continual personal development) courses and study. Through this she maintains practicing standards whilst expanding her knowledge, skills and techniques and very much looks forward to bringing this to both the clinic and clients.